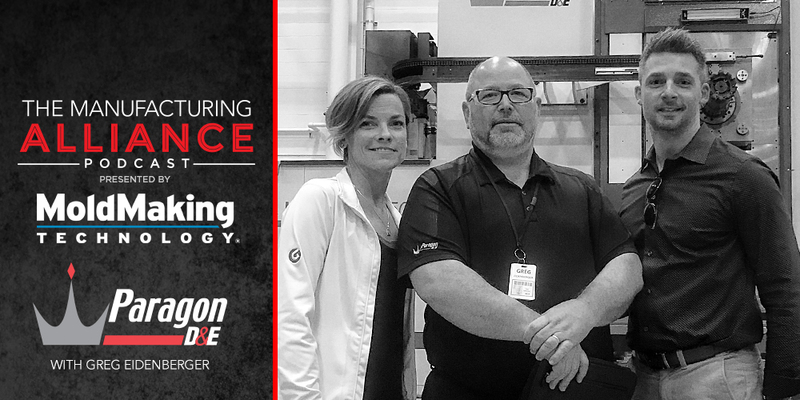 In this episode Christina Fuges of Mold Making Technology Magazine and I sat down with Greg Eidenberger the Vice President of Sales at Paragon D&E in Grand Rapids, MI. Paragon D&E is known for doing BIG things. Big tools, big ideas, big personalities. Are you sensing a theme here? We were invited to come in as guests to their Friends and Family event to celebrate the launching of their new Fives machines allowing them to machine bigger than ever. We discussed a ton of topics including leadership, investing in people, industry 4.0, and so much more. April 2018 event in Grand Rapids, Michigan introduces manufacturers to the future of making things with the help of Autodesk experts and their partners. Video by Ken Schreiner, ProBusiness Video, Salt Lake City, Utah.